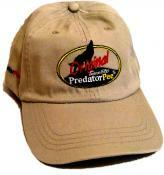 PredatorPee® in 12 ounce squeeze bottles is the perfect natural animal repellent for small area application. It is enough to treat 10 ScentTags or 10 33Day Dispensers (or a 100' Pee-rimeter) at least 2 to 4 times. 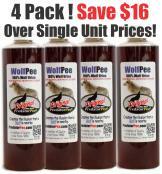 Buy in multiples or in combination with ScentTags or 33Day Dispensers for BIG savings! 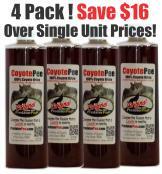 12 ounce bottled predator urine is available in all PredatorPee® "flavors" including Wolf urine, Fox urine, Coyote urine, Mt.Lion urine, Bobcat urine and Bear urine. Buy animal deterrents below!